In honor of Avogadro’s number (6.02 x1023), today is mole day. According to some who celebrate this day, celebrations can actually begin at 6:02 on 10/23. Mole Day Jokes — there are some new ones here I had not seen before. Who’s been marking up Mars? This portion of a recent high-resolution picture from the HiRISE camera on board the Mars Reconnaissance Orbiter shows twisting dark trails criss-crossing light colored terrain on the martian surface. Newly formed trails like these had presented researchers with a tantalizing martian mystery but are now known to be the work of miniature wind vortices known to occur on the red planet – martian dust devils. Such spinning columns of rising air heated by the warm surface are also common in dry and desert areas on planet Earth. Typically lasting only a few minutes, dust devils becoming visible as they pick up loose red-colored dust leaving the darker and heavier sand beneath intact. On Mars, dust devils can be up to 8 kilometers high. Dust devils have been credited with unexpected cleanings of mars rover solar panels. Go to APOD for a higher resolution image. You’ll be glad you did. Marion Island, South Africa --- 10/18/2009 --- http://earthobservatory.nasa.gov/IOTD/view.php?id=40806 --- Note the smaller cones on the flanks of this volcanic island in the Indian Ocean southeast of South Africa. Rainfall from Typhoon Parma --- 10/10/2009 --- http://earthobservatory.nasa.gov/IOTD/view.php?id=40687 --- The Philippines got hit three times by this one typhoon. I wasn’t really happy with the first iteration of my “Answers in Genesis conference — day 2″ post” so I have rewritten it. Here it is again, hopefully somewhat improved. Mortenson stated that the geological column (Cambrian, Ordovician, Silurian… with associated fossils) doesn’t actually exist all together in any one location. It is true that it doesn’t exist at the Grand Canyon (where the rocks are Precambrian through Triassic, with the Silurian and Ordovician missing). There are other locations, as documented by Christian geophysicist Glenn Morton, where layers of each period of geologic history are present (see The Geologic Column and its Implications for the Flood; Morton was once a young-Earth creationist who published in the Creation Research Society Quarterly). Morton describes a location in the Williston Basin of North Dakota that has layers from each major time unit from the Precambrian and Cambrian all the way up to the Quaternary, and lists 25 other major sedimentary basins around the world which have similar complete geologic columns. The geologic column is an observation of nature, not a construct of evolutionists. Mortenson used erosion in the Channeled Scablands of eastern Washington as an example of what a catastrophic flood can do in a short time. These channels were formed when a glacial dam broke during the Ice Ages, releasing up to 2000 cubic kilometers of water which was impounded behind the dam, forming Lake Missoula. These flood waters spread out over the Columbia Plateau creating the Channeled Scablands. He showed a picture of the Palouse River Canyon, which is cut hundreds of feet down into the Columbia River Basalts, and stated that evolutionary geologists believe this was cut in just a couple of days during the Scabland flood. This was a misstatement of what geologists teach. There is ample evidence that there were numerous catastrophic floods that carved the Channeled Scablands, not just one. Geologists believe that the ice dam formed dozens of times, and broke dozens of times. The Palouse River Canyon may have existed in some form before flooding, with the flood waters enhancing the canyon rather than creating it from scratch. Mortenson, like other young-Earth creationists, posits hyper-rapid evolution after the animals left the Ark. For example, Noah did not have to take horses, donkeys, and zebras all onto the Ark; he only had to take a pair of the “horse kind.” The idea is that this pair had sufficient genetic variation in their genes to produce horses, donkeys, and zebras, and anything else that would fall into the “horse kind.” The problem is that it is not individuals that have genetic diversity. It is populations that have diversity, and the larger the population, the greater the potential for variation. If the pair on the Ark were both Clydesdales, then their offspring would be Clydesdales. If the pair were an Arabian and a Clydesdale, then there could be a greater variation in the offspring, but not zebras, donkeys, or even Shetlands apart from many generations of selective breeding. Much of what Mortenson said about the origin of life, the origin of information, gaps in the fossil record, and the nature of natural selection is consistent with what is being said by the progressive creationists (e.g. Hugh Ross) and the intelligent design movement. I am in general agreement with this position. Like in the previous night’s presentation, Mortenson presented this as a battle between two opposing world views. One is either wearing Biblical glasses or Evolutionized glasses, and this determines how one views Earth history. Again, I don’t think these are the only options. My approach—which I believe is thoroughly Biblical—is that all truth is God’s truth. If there is a conflict between what God has revealed in his Word and what we see in nature, then we either misunderstand nature, or we misunderstand Scripture (or both). In the end, when we perfectly understand both, there will be no conflict. What I believe the young-Earth creationists often do is force nature to fit their understanding of the Bible, often resulting in a distortion of what God has sovereignly allowed to happen in Earth history. 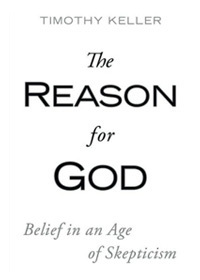 Mortenson also stated that young-Earth creationism has been the position of the church for almost its entire history. This is true, and I place a high value on the Church fathers and church history in general. But this is a dangerous argument to use in a Baptist church. I could have used the same argument to say that believer’s baptism was virtually unheard of in the church for 3/4 of church history, and is therefore invalid. That might not have gone over too well. Mortenson showed a video on sedimentary layers featuring Andrew Snelling that contained many the problems that I pointed out in my Six Bad Arguments from Answers in Genesis series. This stuff doesn’t work scientifically, and should not be used as Christian apologetics. Without a doubt, most in the audience thought that Mortenson had presented a convincing case for young-Earth creationism. Unfortunately, few in an audience like this have the geological background to critically analyze the arguments presented. With love for the body of Christ, and for scientists who are turned away from the Gospel by bad arguments in defense of the Bible. The ESV Study Bible (ESV is the English Standard Version translation) is a masterpiece of conservative Evangelical scholarship. The scholars who put this volume together are highly-qualified Bible experts who have a high respect for the Bible as the Word of God. For those of you not familiar with the concept of a study Bible, this contains more than just the text of the Bible. It contains many thousands of cross-references and explanatory notes, plus drawings, maps, articles, and an extensive concordance (index). 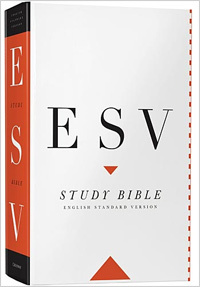 The ESV Study Bible is a massive work, with over 2,000,000 words on 2750 pages. Because of this commitment to the truthfulness of the Bible, many would think that the ESV Study Bible would give a strong endorsement of the “literal” six-day interpretation of the young-Earth creationists, with a roughly 6000-year old Earth and a global flood that deposited most sedimentary rocks. The authors of the notes, however, take a cautious and broad approach to questions of the age of the Earth and the extent and work of the flood. There are two groups of people who insist that Genesis teaches a young Earth. The first of these is the young-Earth creationists, led by organizations such as Answers in Genesis and the Institute for Creation Research. They are convinced that the Bible requires a young Earth, and distort science to make it fit their interpretation. The other group is the atheists and skeptics. It is in their interest to say that the Bible requires a young Earth, as it makes it easier for them to not believe. For the most part, neither group is willing to consider Biblical scholarship that would upset their preconceptions. 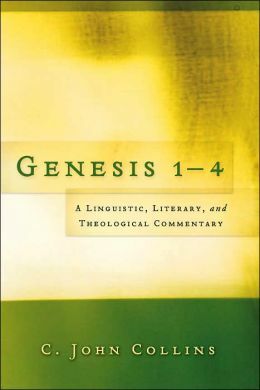 The ESV Study Bible‘s Introduction to Genesis (which is different than the Introduction I have quoted from already) was written by T. Desmond Alexander of Union Theological Seminary in Belfast. 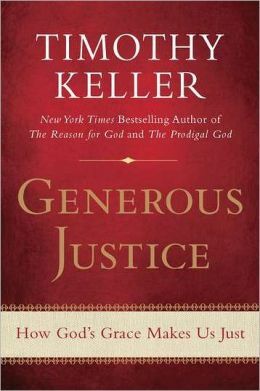 It has a section called “Genesis and Science,” which begins with an overview of the various positions that are held by theologically-conservative Biblical scholars. The relation of Genesis to science is primarily a question of how one reads the accounts of creation and fall (chs. 1–3) and of the flood (chs. 6–9). 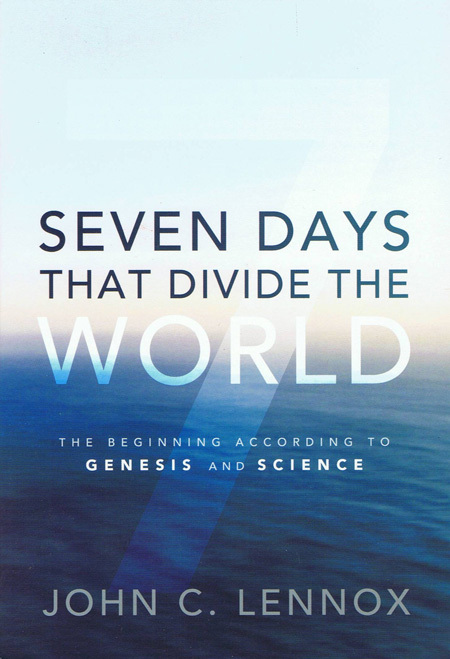 What kind of “days” does Genesis 1 describe? How long ago is this supposed to have happened? Were all species created as they are now? Were Adam and Eve real people? Are all people descended from them? How much of the earth did Noah’s flood cover? How much impact did it have on geological formations? Faithful interpreters have offered arguments for taking the creation week of Genesis 1 as a regular week with ordinary days (the “calendar day” reading); or as a sequence of geological ages (the “day-age” reading); or as God’s “workdays,” analogous to a human workweek (the “analogical days” view); or as a literary device to portray the creation week as if it were a workweek, but without concern for temporal sequence (the “literary framework” view). Some have suggested that Genesis 1:2, “the earth was without form and void,” describes a condition that resulted from Satan’s primeval rebellion, which preceded the creation week (the “gap theory”). There have been other readings as well, but these five are the most common. Note that only one of the five primary alternatives—the “calendar day” reading— requires a young Earth. The others each have room—or require—an Earth that is older than 6000 years. I personally make no commitment to a specific view, except to say that I rule out the calendar day interpretation based on external evidence (keeping in mind that all truth is God’s truth). INTRODUCTION TO GENESIS — Genesis and Science — Is Genesis 1 a scientific account? Genesis gives a true account of the origin of the universe, but one should be extremely cautious when attempting to correlate the words of Genesis to specific scientific concepts. Genesis 1 wasn’t written to tell us about the degree to which populations can vary (reproduction “according to their kinds” doesn’t place any kind of limit on variation), Genesis 2 wasn’t written to tell us that it never ever rained before the flood, and Genesis 3 wasn’t written to tell us how snakes lost their limbs. The primary purpose of Genesis 1 seems to be to identify God as the Creator of everything who is completely separate from the creation, and to contrast him to the gods who appear in the creation accounts of the nations the Hebrews had contact with. The doctrine of creation is much richer than merely addressing questions of how and when God created the universe, life, and human beings. I often state my position as “I believe in a real creation of the universe by the Triune God of the Bible, in a real Adam in a real garden, committing a real sin with real consequences, and in Jesus Christ as God’s only solution to those consequences. Young Earthers often say that to accept an old Earth undermines the foundations of the gospel, but it is clear that one can accept an old Earth, a real Adam, a real Fall, and therefore a real need for a Savior. Young Earth creationists insist that the Bible requires a global, catastrophic flood. Many conservative scholars, including the editors and contributors to the ESV Study Bible, have looked closely at the text and determined that this is not necessary. Could the introductions and notes in the ESV Study Bible be wrong on these things? Yes. Could the young-Earth creationists be wrong in their interpretation of these things? Also yes. But it is clear that there are a number of conservative, Bible-believing scholars who either advocate or are willing to accept an old Earth and local flood. Based on external evidence, I choose to side with the old-Earth Biblical scholars. Today’s Astronomy Picture of the Day: Starry Night by Vincent van Gogh. I went to an Answers in Genesis “special outreach” conference today. The speaker was Terry Mortenson, and the topic was “Was Darwin Right?” (though the AiG web site said the topic would be “The Age of the Earth & Why it Matters”). I find the extreme literalism of the young-Earth creationists to be completely unimaginative (I’m not sure that is the word I want to use; I’ll try to come up with something else). Even though the Bible is full of symbolism, they leave no room for symbolism in the opening chapters of Genesis. I am not necessarily advocating an allegorical approach to the opening chapters of Genesis, but these guys leave absolutely no room for interpreting Adam being created from mud as a picture of humans being created from the same material as the rest of creation, or thorns as a picture of painful toil in the fields. The speaker used quotes from prominent scientists in misleading ways. For example, he used quotes from geologist Derek Ager (author of The Nature of the Stratigraphical Record and The New Catastrophism) to try to support the YEC concept of flood geology. 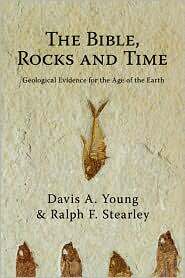 What Ager was advocating (I’ve read the first of these books) was that Lyell’s version of uniformitarianism—sediments deposited one grain at a time for millions of years—is not consistent with Earth history. The sedimentary rock record is made up of everything from slow deposition (e.g. mud in the bottom of lakes) to catastrophic episodes, such as deposits from hurricanes, tsunamis, 500-year floods (or larger dambursts such as the Lake Missoula/Scabland floods), landslides, asteroid impacts, and volcanic eruptions. The sedimentary rock record is still understood to be the result of ongoing processes that obey physical laws; this is a far cry from the flood geology of the young-Earthers. From the presentation, the audience would think that it was a short step from Derek Ager to Henry Morris. I could say a lot more, but I’ll hold back. 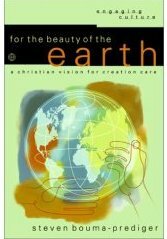 Creation — As an old-Earth creationist I believe in a real creation from nothing by the triune God of the Bible. I don’t believe that the Bible specifies when “In the beginning” occurred. Corruption — I believe in a real Fall into sin. The extent of the corruption is not clearly outlined in the Bible; the YECs say that it pervaded every aspect of creation, but this is not clear from Scriptures. Certainly the “curse” of Genesis 3 affected man’s relationship with nature, but the Bible does not say to what extent. Catastrophe — The catastrophism of the young-Earth creationists simply does not work. The Bible does not say that Noah’s flood created the bulk of Earth’s sedimentary rocks, and doesn’t even require a global extent for this flood. Confusion — The YECs claim that all nations and languages originated (with subsequent further diversification) at the Tower of Babel, even though the nations listed in Genesis 10 are mostly located in the Eastern Mediterranean/Middle East. Genesis 10 tells us nothing about the origin of Eskimos or Zulus. Christ — I’m in complete 100% agreement. Jesus Christ is God in the flesh, and is God’s solution for the sin problem introduced in Genesis 3. Cross — Christ died as our substitute on the cross, taking the penalty for sin that we deserved. Consummation — Christ will come again as king and judge. The effects of Adam’s sin will be completely undone. I am an old-Earth creationist who accepts the inerrancy of Scriptures. I reject young-Earth creationism because I believe it is Biblically unnecessary and scientifically unworkable. In your presentation, you had a slide that listed what you called “compromise positions” such as the progressive creation, framework, and gap interpretations. You said you rejected these because they all had one thing in common: death before the Fall. None of the passages used by young-Earth creationists to demonstrate that there was no animal death before the Fall—Genesis 3, Romans 5 and 8, and 1 Corinthians 15— actually say anything whatsoever about animals, so I don’t think you provided a firm Biblical foundation for rejecting these positions. Could you comment on this please? Dr. Mortenson was very courteous and articulate in his response. I thought he was wrong on a number of his points, but I didn’t want to get into a debate. I asked primarily so the audience could see that perhaps there are Biblical problems with the young-Earth position. I’ve written my preliminary thoughts on death before the Fall elsewhere. I’m planning on attending more sessions Sunday evening.